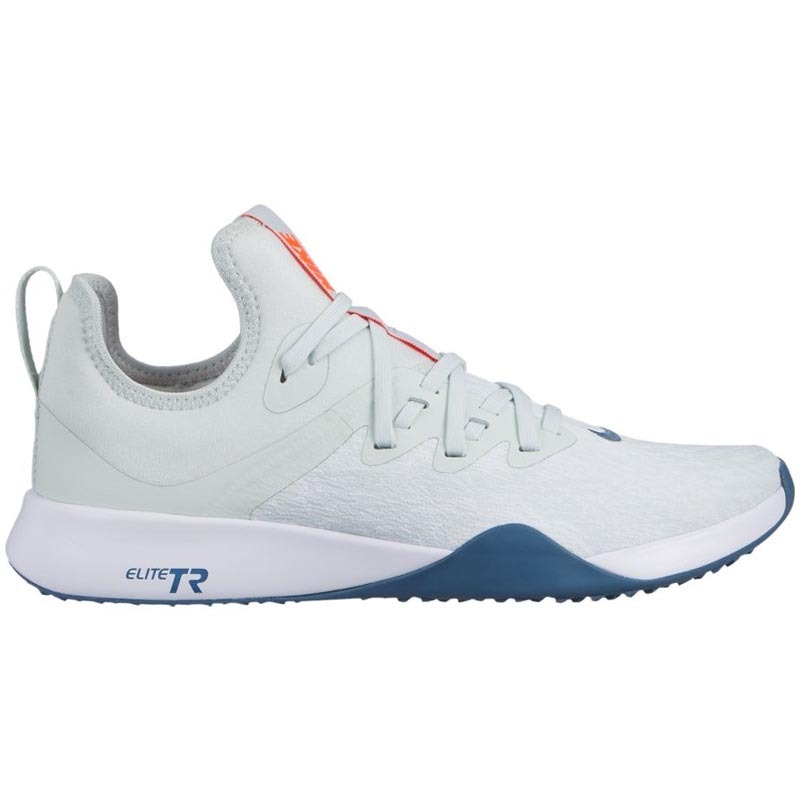 Designed for circuit training and boot camps, the Nike Foundation Elite TR Women's Training Shoe is built to support you throughout agility movements as well as weightlifting. With the sock-like fit of a bootie, it features wide-set laces to cinch you in, as well as a flat heel for stability. Stretch-woven bootie construction for a snug, sock-like fit. Dynamic support lacing system secures the midfoot features wide-set laces. Rubber outsole with mutlidirectional traction pattern for durable grip. Dimensional knit mesh on the vamp offers breathable durability and a textured look and feel. Rubber wraps up on the lateral and medial sides for support during lateral movements. Flat heel offers stability during weightlifting.